Purchase A Stunning, Affordable Pre Construction Condo Built By Deltera For Only $26,620 Down. Total Principle, Interest, Taxes And Maintenance For Less Than $2900 /Month. $51,000 Second Mortgage Available With No Principle Or Interest Payable While You Own Your Suite. (Ie - Shared Appreciation Mortgage) Extra Costs: Pkg @ $50,000, Lkr @ $5,000. Fridge, Stove With Hood Fan, B/I D/W. R/I Laundry Rm As Well As 1st Flr Laundry Facilities On Site. 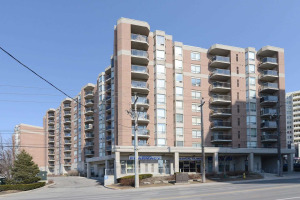 Building Incl: Rooftop Patio And Enhanced Security. Short Walk To Weston Go Station, Up Express, Get To Union Station In 15 Minutes!